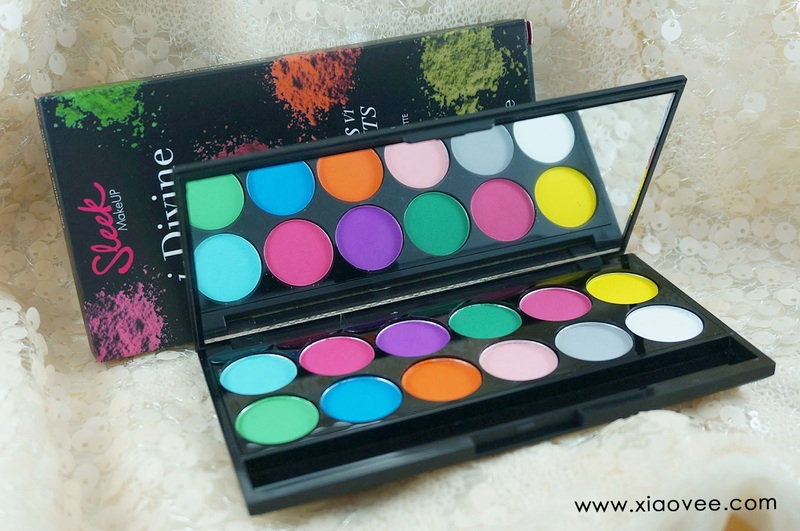 Create stunning eye makeup with 12 shades of super pigmented eyeshadow. 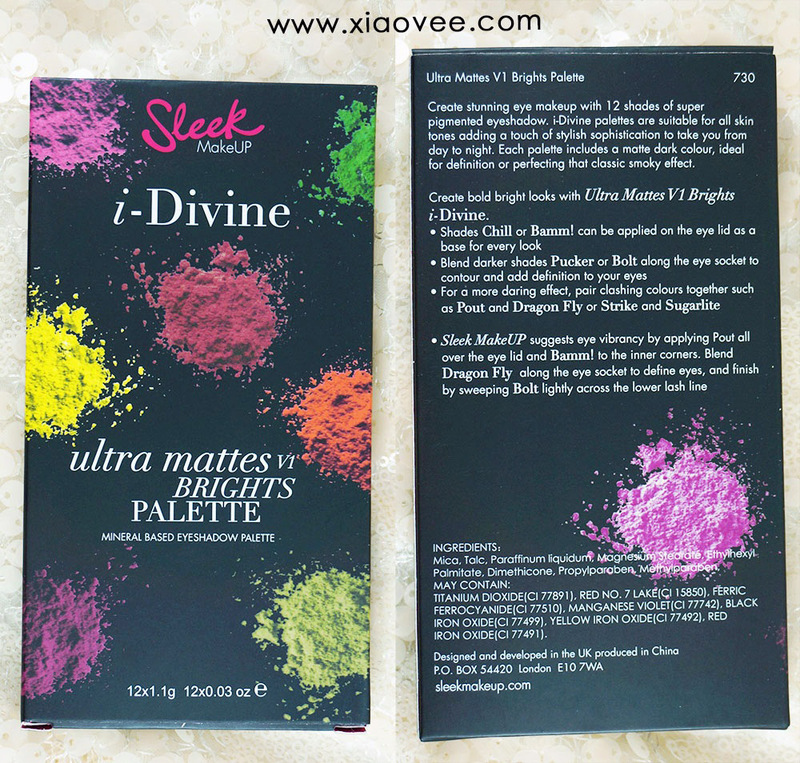 i-Divine palettes are suitable for all skin tones adding a touch of stylish sophistication to take you from day to night. 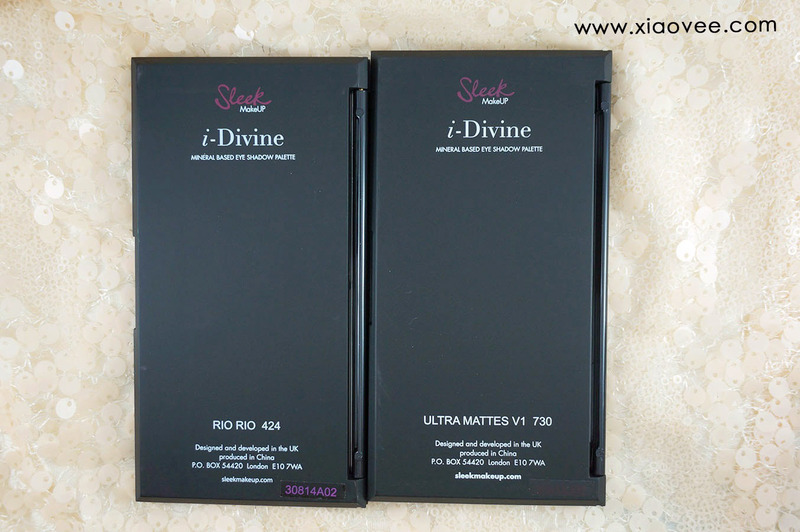 Each palette includes a matte dark color, ideal for definition or perfecting that classic smoky effect. 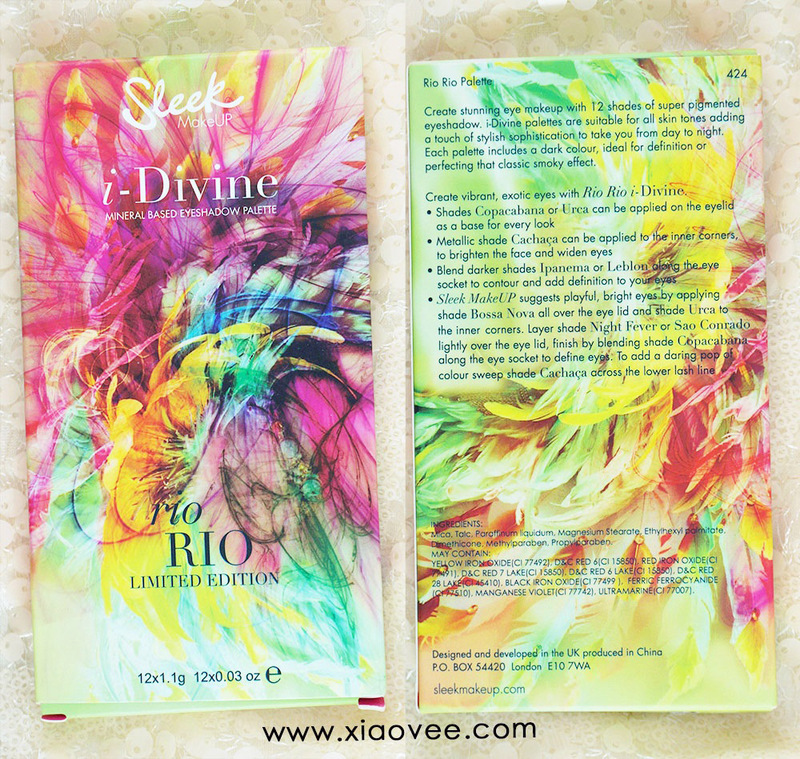 Create vibrant, exotic eyes with Rio Rio i-Divine. 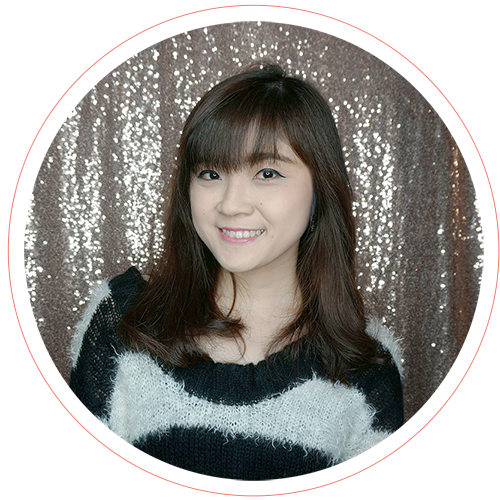 - Sleek MakeUP suggests playful, bright eyes by applying shade BOSSA NOVA all over the eye lid and shade URCA to the inner corners. Layer shade NIGHT FEVER or SAO CONRADO lightly over the eye lid, finish by blending shade COPACABANA along the eye socket to define eyes. To add a daring pop of color sweep shade CACHACA acroos the lower lash line. Sleek palette always comes in black-colored palette, with wide mirror and 12 variety of color. 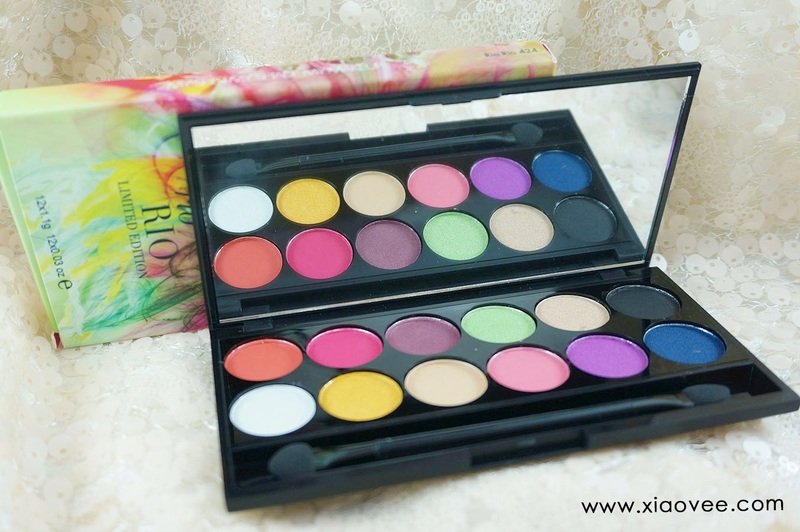 It also included dual-sponge applicator for each palette. 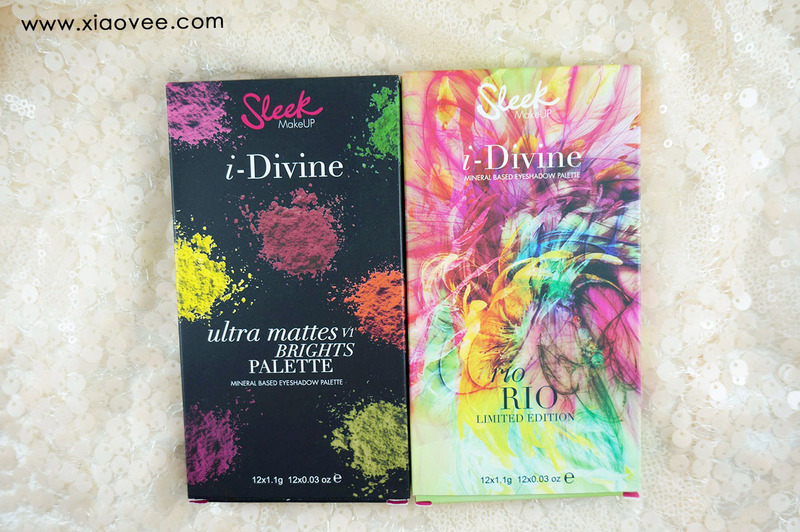 As expected from Sleek, their colors are quite pigmented and easy to blend. 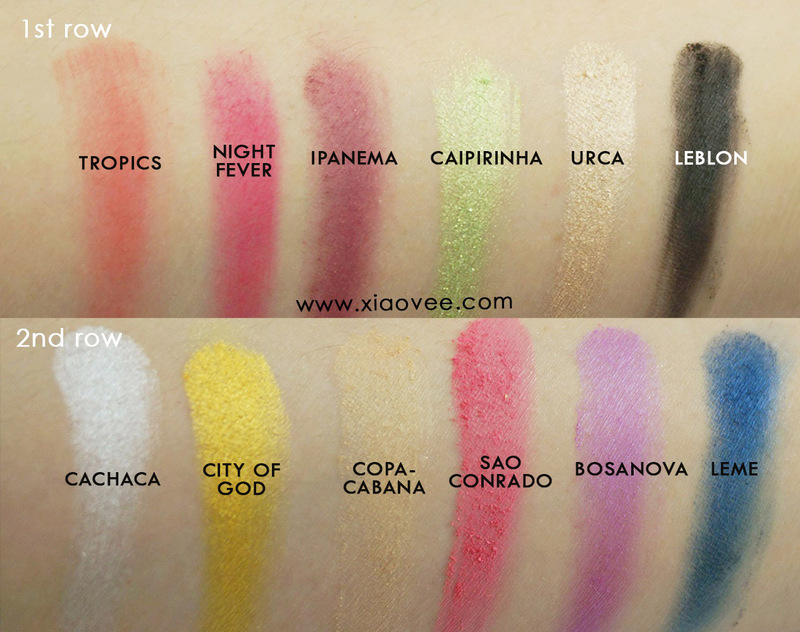 I even only need 1 swipe for Caipirinha :) Tropics is less-pigmented compared to others. Maybe the color that I love most of 2nd row is City of God. It's so pretty isn't it? 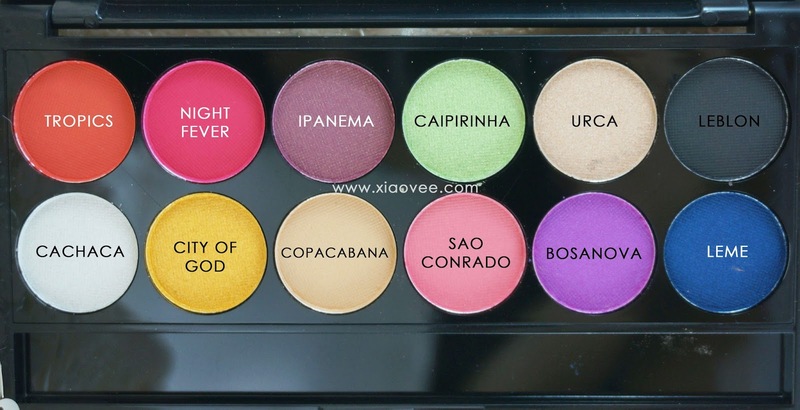 I only need 1 swipe to swatch City of God, Sao Conrado and Bosanova. Their colors are quite pleasing, bright and vibrant. 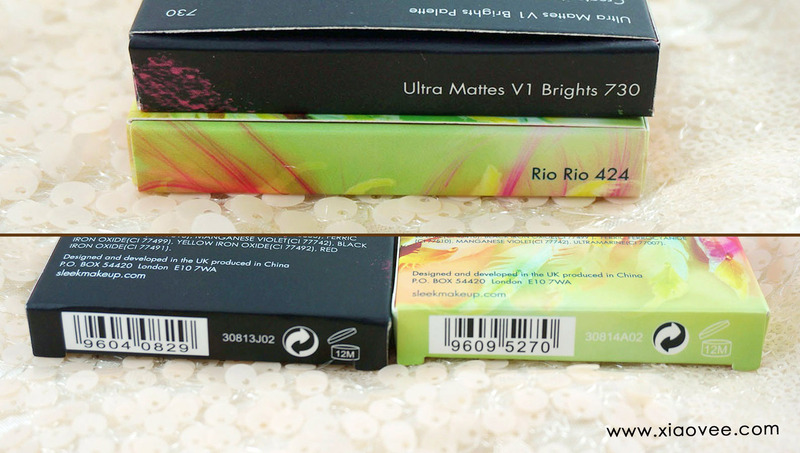 Create bold bright looks with Ultra Mattes V1 Brights i-Divine. 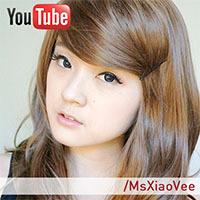 - Sleek MakeUP suggests eye vibrancy by applying POUT all over the eyelid and BAMM! to the inner corners. Blend DRAGONGFLY along the eye socket to define eyes, and finish by sweeping BOLT lightly across the lower lash line. 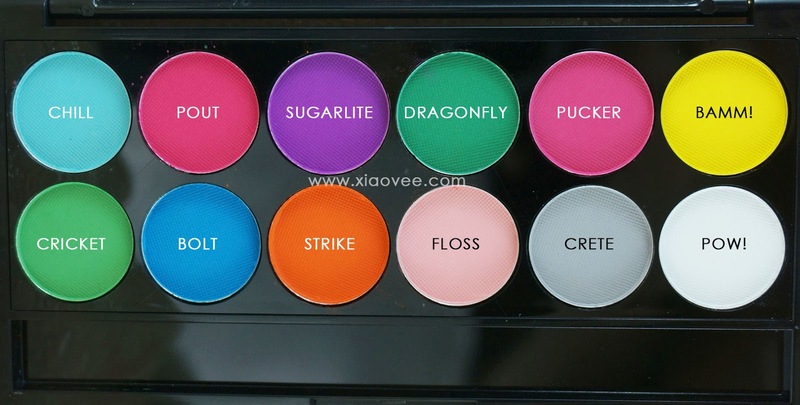 Chill, Pout: 1 swipe, Sugarlite, Dragonfly, Pucker, Bamm! Mostly I need 2 swipes each to make them look more vibrant. 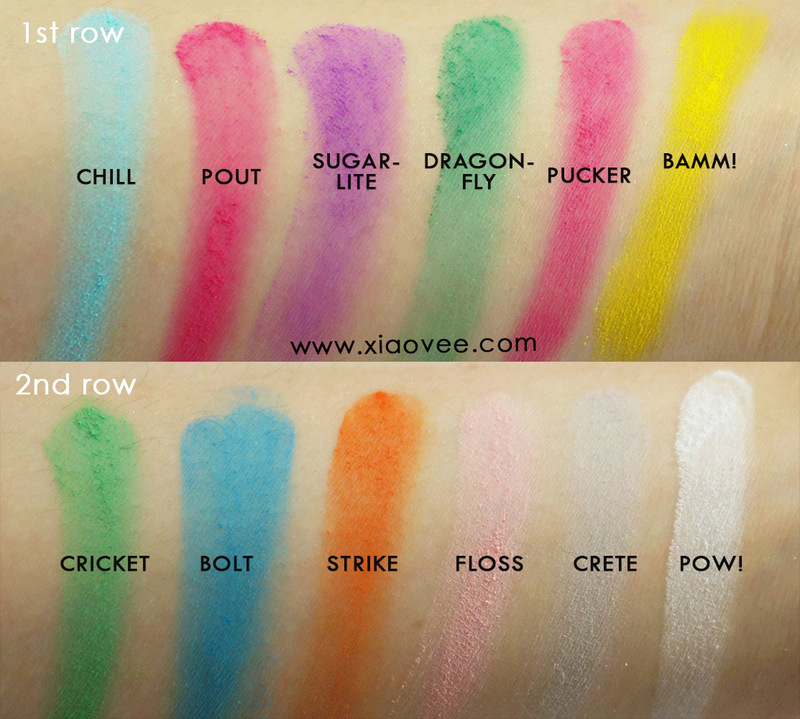 These colors are so bright and cheerful, really suitable for Spring and Summer Makeup look :D The color that I like most is Pucker. These colors are so bold and attractive, I like the Bolt the most! 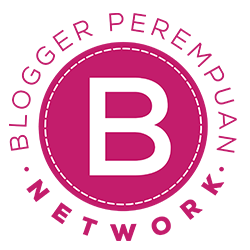 While Crete is the least pigmented, Pow is the most pigmented of them all. As I expected from Sleek, those colors are vibrant enough even without eye primer ^.^ They mostly come in smooth and easy-blendable texture and minimum fall-out. 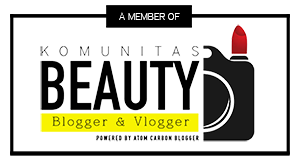 Their eyeshadow applicators are also helpful enough, I often use them when I was in rush :D In a nutshell, I'm pretty satisfied with these palette! I love the colors in the Limited Edition palette.